Step 1: We visit your property to determine how we can further elevate your brand and empower your business to reduce germ anxiety. Step 2: Based on our visit, we develop a hygienic solution that's customized and effective-a solution that can help keep your property's reputation looking great. Step 3: We provide products and consultation that can help improve guest experience as well as the health and well being of your employees. Step 4: We'll follow up and, if necessary, adjust the program to ensure you're seeing maximum results. Pre-visit: Set the stage to enhance the guest experience. During visit: Show guests, in a perceivable way, that you value their health and wellness. Post-visit: Make a lasting impression with your guests and create brand loyalty. When choosing a hotel, frequent business travelers consider cleanliness more important than price. And you're well aware of how important frequent business travelers are to your business-in fact, they make up to 70% of hotel business. 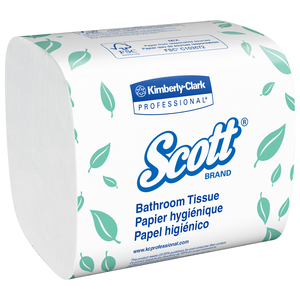 With LiveWell* by Kimberly-Clark Professional, you can give your guests peace of mind. This peace of mind enhances the guest experience, which results in repeat business and a positive reputation. And that can mean a competitive advantage. Patrons and employees consider high-traffic businesses-like airports, health clubs and stadiums-to be riddled with germs. LiveWell* by Kimberly-Clark Professional can help them reconsider that notion. Our holistic system is another important step in elevating guest experience and giving germ-anxious patrons peace of mind. And when you show guests you value their health and wellness, they'll stay longer, and you'll keep your business's reputation looking great.